I went through my pant collection this week. I have gone through my closet several times over the past year. I am always surprised that I can get rid of more! I keep saying that minimalism is a process and that is proving to be true over and over again. I moved all of my summer clothes downstairs into my summer storage. I know that I won't be needing my shorts or capri pants any time soon! It has been downright frosty in the mornings for the past few weeks. 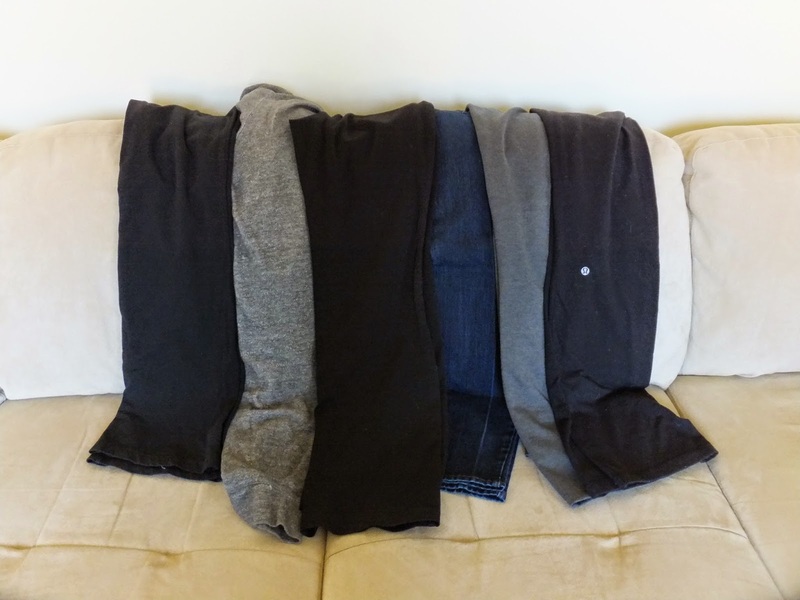 I got rid of two pairs of stained sweatpants (so not flattering). I donated a pair of black leggings and a pair of black dress pants. I also put a pair of two pairs of pants into my maternity clothes box, as they fit well when I was expecting. 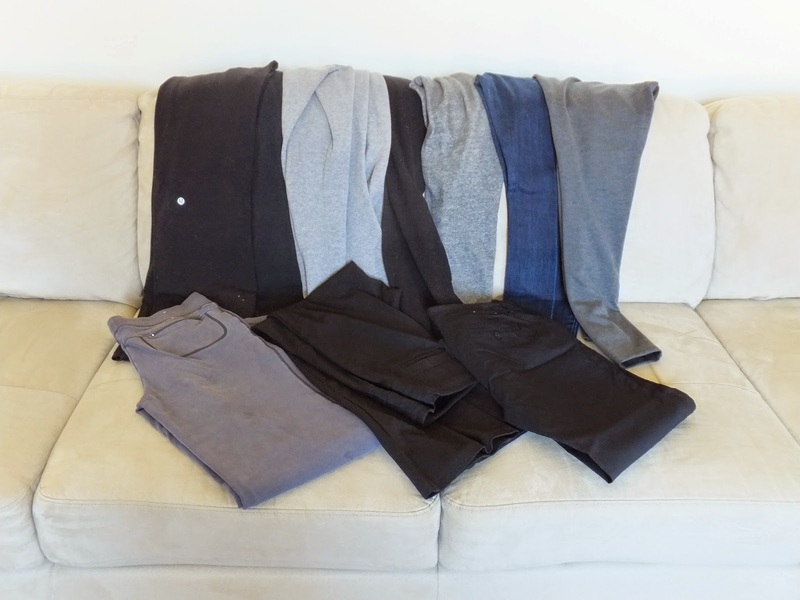 I kept two pairs of yoga pants (perfect for going for walks), one pair of sweat pants (for movie nights on the couch and lazy Saturday mornings), one pair of grey leggings, one pair of black dress pants, and two pairs of jeans (only one pictured here). I feel confident that I am only keeping the clothes that I wear. I have actually worn all of the pants I kept in the last ten days. I left my Summer pants for now. I plan to go through them next year. I will try everything on and decide from there.